If you’re trying to stay healthy, you may look on the holiday season with trepidation. 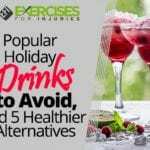 After all, the holidays tend to be associated with a lot of food, treats, and sitting around visiting, which for many of us, can lead to overeating and weight gain. However, if we look back at how the holidays began, we can see it wasn’t always this way. There are many holiday traditions that are good for us. We have only to resurrect those traditions and use them in a way that fits our modern-day lifestyles. Then, we can contribute rather than take away from our efforts to stay fit even as we’re celebrating. Where Did These Holidays Come From? Ask most people about the origins of Christmas, and they’ll talk about the birth of Jesus Christ and how Christians celebrate that birth as part of their religious commitment. The actual birthdate is uncertain, however, so how was it decided that December 25 would be the day? According to historians, the Western Christian Church set the date in the early to mid-fourth century. No one knows exactly why, but they have theories. One is that the Romans celebrated the winter solstice — the shortest day of the year — on that day. It was cause for celebration because, after the winter solstice, the sun gradually starts to spend more time in the sky. It’s like marking the sun’s return, in a way. Since Jesus was often associated with the sun, it made sense to celebrate his birth on that day. However, December 25 was also exactly nine months after the Annunciation, which is the date Christians celebrate as being when Jesus was conceived. So, that could be why the date was set when it was. Another possibility, according to the History Channel, is that Pope Julius I chose December 25 to absorb the traditions of the ancient Pagan Saturnalia festival, which the peasants already celebrated to honor Saturn, the god of agriculture. The festival typically involved feasts and merrymaking for all, including slaves, and the theory goes that the Pope chose this time to help more people embrace the celebration of Christmas easily. As for Hanukkah, the eight-day Jewish holiday, it commemorates the rededication of the Second Temple in Jerusalem, which occurred during the second century B.C. The Jewish legend says that the Jews had risen up against Greek-Syrian oppressors who would not allow them to practice their religion, and who had desecrated the holy temple in Jerusalem. During a period of a couple of years, the Jews drove the Syrians out, cleansed the temple and rebuilt its altar. During the rededication, the legend goes, the victors lit the menorah — the candelabrum with seven branches. Despite having enough oil for only one night, the lights burned for eight nights, inspiring the eight-day festival. There are other winter holidays celebrated about the same time among different cultures. Kwanzaa, for example, is a holiday created to bring African Americans together and is usually celebrated between December 26 and January 1. Families light seven candles for the seven nights and gather together to reinforce the seven principles: unity, self-determination, collective work and responsibility, cooperative economics, purpose, creativity and faith. On the seventh day, they exchange gifts. Many cultures still celebrate the winter solstice, too. In the Northern Hemisphere, it occurs on December 21 and marks the beginning of winter, but also the shortest day of the year, after which the days start to get longer. People celebrate the return of the sunlight and, sometimes, tap into the ancient Pagan celebrations by including gatherings and ceremonies that honor nature and the sun. 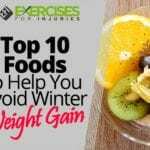 No matter which celebrations you take part in, you may worry that all the gathering and feasting and merrymaking will make mincemeat of your health goals. The common approach is to try to deprive yourself or make changes in your recipes that will help reduce calories. These techniques may work, but you could also focus on those traditions that are good for you. 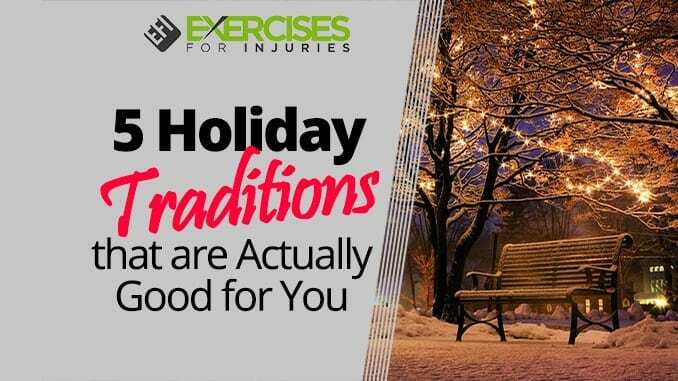 When looking at all the holiday traditions across all the cultures, we found several can help move you toward your weight and fitness goals, rather than away from them. In most traditions, dancing is part of the holiday celebrations. Songs and dances are popular during Kwanzaa, for example, with styles that hearken back to traditional African music, full of drums and rich rhythms that inspire movement. In a celebration of the winter solstice that takes place in the ancient ruins of Stonehenge, England, Druids and Pagans gather to dance and sing while waiting for the sun to rise. In most locations in North America, people dance to celebrate the coming New Year. Dancing is a very healthy activity, and the good thing is that you don’t need any fancy equipment. Any music maker will do, and you can follow your inspiration in your movements or gather together with others to perform group dances. According to Berkeley Wellness, studies have found that dancing improves balance and mood, reduces stress and anxiety and, in some cases, as when doing tango dancing, has similar benefits to those of mindfulness meditation. Of course, as long as you get your heart beating, it helps burn calories and improves blood flow. How can you get you and your loved ones moving? Consider turning on the tunes while everyone’s preparing the food or take the tunes with you on an after-dinner walk. Hold a dancing competition with friends, or get some musicians in the family together to have your own little concert. The options are endless — your imagination is all that’s needed. You’d be hard-pressed to find any holiday that didn’t involve taking some time off. In ancient Pagan traditions, even slaves got the day off during winter solstice or Saturnalia. Millions of Americans still work during the holidays, however. According to a report in the USA Today, a quarter of Americans were required to work on Christmas Day in 2014 while almost half said there was a chance they’d work on either Christmas or Thanksgiving. In another survey from the Zix Corporation, 57 percent of employees stated they planned to work at some point during the holiday break. It’s true that in some jobs, the bosses insist that employees show up on Christmas Day. However, even if you choose another day, it’s important to take some time off. If you leave your vacation time unused, you put your health at risk. According to a Glassdoor survey in 2014, the average United States employee takes only half of his or her eligible paid time off, or about five days. That was an increase over the results from 2008, which showed the average time left unused was three days. Vacations are key to your ongoing good health and even to your productivity at work. Studies have found that vacations reduce the risk of heart disease and that men who didn’t take a vacation for several years were 30 percent more likely to suffer from heart attacks than men who did take their vacations. Skipping just one year increased risk of heart disease. Other studies have indicated that vacations help reduce job stress and that the effects last even after returning to work. Vacations also resulted in fewer headaches, backaches and heart irregularities for five weeks after returning and helped improve sleep. Finally, studies have found that we have to get away if we expect to continue to perform at optimal levels. In one company study, for each additional 10 hours of vacation, year-end performance ratings improved 8 percent. So, for your health and performance at work, make it a point to take at least a few days off sometime over the holiday period. One of the reasons traditional cultures created celebrations around the time of winter solstice is because frankly, they needed some cheering up. The winter solstice is the shortest day of the year and, in the weeks before and after that, the sun just isn’t shining for very long. Typically, on winter solstice, we get only about eight and a half hours of daylight, compared to the summer solstice, which gives us about 12 hours. The cold winter weather also reduces sunlight exposure significantly, to where we may not get much at all, particularly if we live in the northern latitudes. You’ve probably heard of seasonal affective disorder, or “SAD,” a condition believed to be related to the dwindling sunlight we all experience during the late fall and winter months. Scientists have linked exposure to sunlight to good mood, and lack of exposure to increased risk of sad moods and even depression. They’ve also found that low levels of vitamin D, which the body makes when exposed to the sun, can also increase the risk of depression. There’s a reason why we hang lights on our houses and add lights to our Christmas trees and light candles for Hanukkah. We need more light and warmth in the winter to help ourselves feel better. Music, lights, time with friends, the warmth of a fireplace — all of these things help to chase off the dark winter blues and give us something to look forward to. So, don’t hold back this year. Go all out. Put up the lights, turn on the music, stoke the fireplace and invite your friends over. Give yourself a party, and put a smile on your face. A good mood is associated with good health and, when you’re smiling and having fun, you’re likely to make much better choices than when you’re feeling down. Pretty much every holiday tradition involves feasts, and today’s modern holiday celebrations are no different — until we look at how much we’re eating. Holiday meals have evolved, in some cases, in ways that aren’t healthy for us. We’re eating more now than we used to. That’s just a fact. According to one study, serving sizes have grown during the last 20 years, and not just at restaurants — at home, too. Between 1977 and 1996, food portion sizes increased both inside and outside the home for all categories. Scientists say that we don’t notice that it’s happening — when served more, we simply eat more. The solution is as easy as your plate. Research shows that using a smaller plate will cause you to dish up less food for yourself and, therefore, eat less. The good news is that as long as you take your time and enjoy your food, you’re unlikely to notice the difference. In one study, for example, moviegoers who were given free large buckets of popcorn ate 45 percent more than those given free medium-sized buckets. A large review of 56 studies also showed that people consumed less when using small plates, especially when serving themselves. 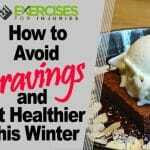 The Centers for Disease Control and Prevention (CDC) also suggests keeping all serving dishes off the table to help minimize the temptation to go for second and third helpings. If you’re feeling hungry before dinner, ignore your mom’s advice and have a snack like a piece of fruit or small salad to help you avoid getting too hungry, which can lead to overeating. Most traditional holidays that occur around Christmas time involve some sort of religious or spiritual activities. No matter what your background or beliefs, connecting with your spiritual side can be good for your health. Studies have found this to be true in a number of ways. Some have found that people who have regular spiritual practices tend to live longer, possibly because these practices help reduce inflammation. One study of 1,700 adults found that those who attended church were half as likely to have elevated levels of interleukin (IL)-6, a marker for inflammation than those who didn’t. Researchers theorized that religious commitment may help people to better deal with stress. Others studies have found that people who are spiritual have a more positive outlook and a better quality of life. Even cancer patients were happier and had less pain if they were involved in spiritual activities. Prayer has been found to be an important pain management method and can help people cope with diseases they may have. Spirituality enhances recovery from illness and surgery, helping patients enjoy higher levels of self-esteem and less anxiety after treatment. Meditation, in particular, which is part of many spiritual practices, has been found to help treat chronic pain, insomnia, anxiety, depression and stress. There are many reasons to connect or, if you’ve been away, reconnect with your spiritual side but improving your health is one of them. So, take some time this holiday season to engage in those spiritual activities that restore you. This is one tradition you can embrace wholeheartedly. 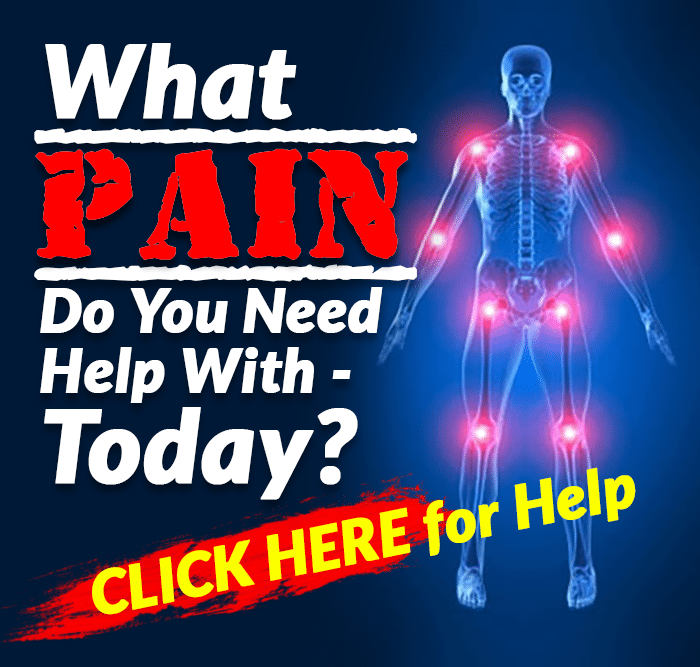 If you want to increase the natural healing power of your body to achieve a more energetic, leaner and younger you, then check out the Best Foods That Rapidly Slim & Heal in 7 Days program. “History of Christmas,” History, http://www.history.com/topics/christmas/history-of-christmas. “Origins of Hanukkah,” History, http://www.history.com/topics/holidays/hanukkah. “The Many Health Benefits of Dancing,” Berkeley Wellness, November 20, 2014, http://www.berkeleywellness.com/fitness/active-lifestyle/article/many-health-benefits-dancing. Hadley Malcolm, “Quarter of Americans will work over holidays,” USA Today, November 25, 2014, https://www.usatoday.com/story/money/business/2014/11/25/employees-that-work-holidays/19487341/. Lydia Dishman, “Why Not Using All of Your Vacation Time is Hazardous to Your Health,” Fast Company, April 15, 2014, https://www.fastcompany.com/3029043/why-not-using-all-of-your-vacation-time-is-hazardous-to-your-health. Lolly Daskal, “4 Scientific Reasons Vacations are Good for Your Health,” Inc., June 13, 2016, https://www.inc.com/lolly-daskal/4-scientific-reasons-why-vacation-is-awesome-for-you.html. Jacqueline Howard, “Sunshine & Happiness Study Links Time Outdoors to Improved Mood,” Huffington Post, October 6, 2013, https://www.huffingtonpost.com/2013/10/06/sunshine-happiness-behavior-mood_n_4014477.html. John McKenzie, et al., “Food Portion Sizes Have Grown—a Lot,” ABC News, January 21, 2003, http://abcnews.go.com/WN/food-portion-sizes-grown-lot/story?id=129685. Hydock C., et al., “The effects of increased serving sizes on consumption,” Appetite, June 1, 2016, https://www.ncbi.nlm.nih.gov/pubmed/26928789. Dr. James Beckerman, “Avoid the incredible shrinking holiday pants with a smaller plate,” Providence Health & Services, https://healthplans.providence.org/fittogether/find-your-fit/healthy-eating/holiday-weight/avoid-the-incredible-shrinking-holiday-pants-with-a-smaller-plate/. Stephen S. Holden, et al., “Whether Smaller Plates Reduce Consumption Depends on Who’s Serving and Who’s Looking: A Meta-Analysis,” Journal of the Association for Consumer Research, January 1, 2016, http://www.journals.uchicago.edu/doi/abs/10.1086/684441. “How to Avoid Portion Size Pitfalls to Help Manage Your Weight,” CDC, https://www.cdc.gov/healthyweight/healthy_eating/portion_size.html. Christina M. Puchalski, “The role of spirituality in health care,” Proc (Bayl Univ Med Cent. ), October 2001; 14(4):352-357, https://www.ncbi.nlm.nih.gov/pmc/articles/PMC1305900/.